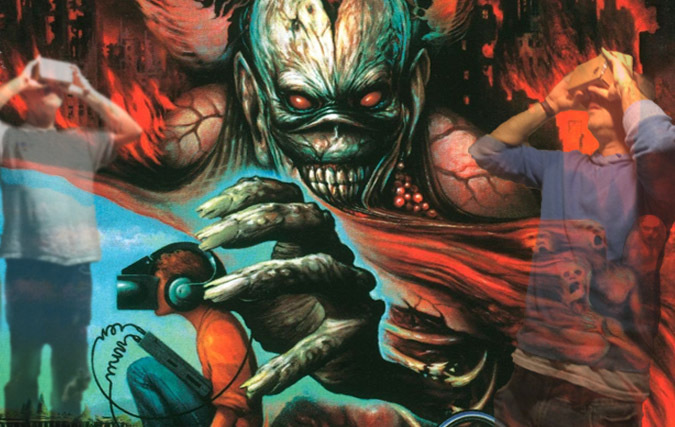 Futureal – A Look at Virtual Reality in Metal! I can remember as far back as the late 80s hearing the term "virtual reality". At the time visual storytellers like George Lucas ('Star Wars'), Steven Spielberg ('E.T.') and Robert Zemeckis ('Back to the Future') showcased future worlds where technology drastically modified mankind's existence. When you combined that ideology with the global popularity of home computing and cellular communications it was easy to imagine a much larger world than the physical one. When the World-Wide-Web was introduced in the early 90s it set forth a chain of events that would eventually lead to premonitions of some of the things we witnessed in science-fiction media. As we sit here in 2016, a lot of what we saw and heard in the science-fiction community over the last few decades has finally come to fruition. While Morlocks haven't taken over man's position on the food chain, there have been huge advancements in technology that equals or even exceeds what we could only imagine as "future concepts" years ago. Automobiles can do a variety of tasks that Knight Rider's KITT car could fictionally do in the 80s. Global positioning, voice responsive controls and satellite communication are now standard features in most vehicles. A cell phone now has more computing power than NASA's first trip to the moon. One could argue that an iPhone would have more functionality and tools than the technology wielded by Captain Kirk on the Star Trek Enterprise. Nike is on the verge of introducing self-lacing shoes like those featured in 'Back to the Future II'. We could certainly list dozens upon dozens of technology advancements that enhance our lives and are eerily similar to fictional concepts of old.